Parents looking for a school for their gifted child now have two additional options available in Oak Cliff. The district will open Roger Q. Mills School for the Talented and Gifted and Mark Twain School for the Talented and Gifted in August 2019. Both will cater to gifted students who need a challenging academic environment to reach their full potential. Admission is based on academic achievement, and applications are required. Mills is accepting applications for incoming first- through sixth-graders, and will eventually expand to eighth grade. Twain is accepting applications for students entering grades one through five. Applications will be taken through March 18. To learn more about Roger Q. Mills or to apply online, visit dallasisd.org/mills. For Mark Twain, visit dallasisd.org/twain. The schools will include instruction in language arts, mathematics, humanities, the sciences, technology, fine arts, and physical education. Both will also offer exciting extracurricular activities that will make learning fun. Students who currently attend Twain and Mills elementary schools may stay at the campuses and complete their elementary education, or apply to the new TAG programs. 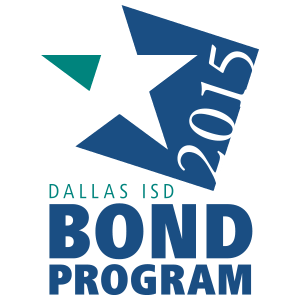 Feb. 27 | 5:30- 7 p.m.
Feb. 28 | 4:30 p.m. AND March 1 | 9 a.m. – 2 p.m.
For specific questions about Dallas ISD magnet schools, call (972) 925-3335, or email magnetschools@dallasisd.org.